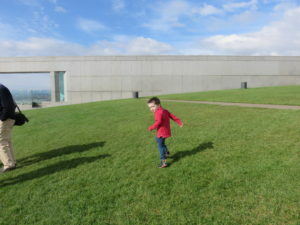 Recently the Aussie Star family went on holiday to Canberra. Our daughter changed schools a couple of years ago. While she’s very happy where she is, it did mean that she would miss out on going to Canberra for camp in year 6. 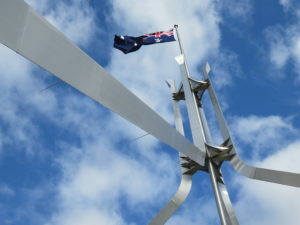 Also, I have taken students to Canberra for camp a couple of times and think it is one of the best family holiday destinations in Australia – there is so much to do! So, we set off from our home near Adelaide and broke up the 16 hour drive across three days. We travelled through Western Victoria, stayed at Goroke, then Rushworth and finally made it on to the Hume Hwy to Canberra on the third day. It was a lot of driving but we got there! I felt very inspired driving through the old gold mining areas and stopping to take photos of Melville’s cave at Mt Arapiles. 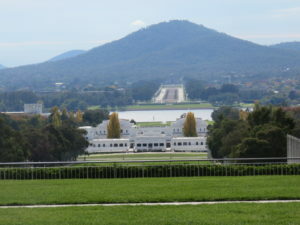 The first time I went to Canberra on camp with my class I was extremely nervous! The thought of taking 40 students interstate on a long bus trip, with a day in the snow, seemed daunting. But I needn’t have worried – it was brilliant! There are so many things to do and see, that the students were always engaged and ready to go. The other wonderful thing was that the students were really able to consolidate their learning in HASS. In first semester we had focused on topics like Australian Federation, Civics and Citizenship, and Experiences of Democracy. We were also able to have the perfect introduction to our Earth Sciences unit by visiting the Geo Science Centre. 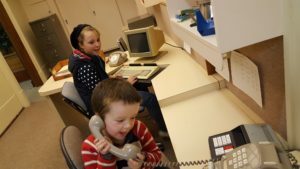 These learning opportunities were my major motivation for taking the family to Canberra and, as usual, it didn’t disappoint. If you ask my husband he will probably tell you it wasn’t a very restful holiday, because I had organised an itinerary that didn’t allow for much down time! If you ask me, I think we could’ve fit a couple more things in. 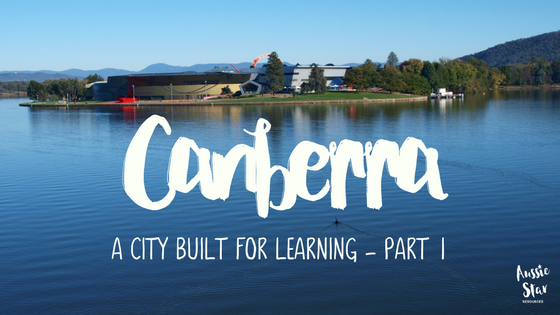 Even if you’re not going to Canberra for your school camp, it is well worth including a few lessons on Canberra in your HASS unit. Help students understand the history, purpose and function of our nation’s capital. Here I’ve listed a few points to get you started. There are lots of resources online to help and I’ve included links to them with each point in the title. In Canberra they call it New Parliament House which makes me laugh considering it’s nearly 30 years old. But it does distinguish it from Old Parliament House. This building is spectacular and consists of approx 4500 rooms! Everywhere you look there are clocks (2700 to be exact) so there’s no excuse for an MP to miss out if a division is called. I’d love to be there to see that! Join a tour group if you are visiting Parliament House. I highly recommend it! The guides are a wealth of information and do a great job of catering to all ages. You can really explore this building and it is very hands-on and interactive. We sat in the big comfy chairs of the Upper and Lower Houses and discussed what the roles and responsibilities of each house are. 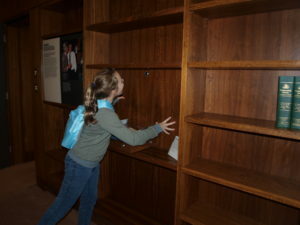 We climbed up to the Press Gallery, and also peeked through the spy hole between Bob Hawke and his Secretary’s office! The kids loved pretending they were giving a live media release – especially when it came out on the speakers in the next room. We listened to the stories of the Prime Ministers and looked at how Australia’s democracy has evolved over the last 116 years. 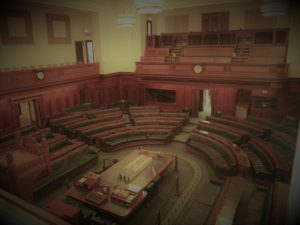 We waited patiently while the kids typed important documents in the Speakers chambers and took lots of photos in the dress up area. There is so much to do in this wonderful place for all ages. The hands-on learning opportunities are wonderful! And there is the opportunity to join a tour group if you would like more information. If you intend to go to The Museum of Australian Democracy allow plenty of time. 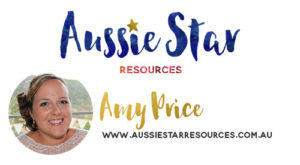 If you’re not visiting, check out their website and explore their comprehensive range of teaching resources for years 5 and up that can be used in your classroom. In the next post I’ll focus on two more locations and provide you with further information about the learning opportunities of each place. Stay tuned!